For the past two years, Microsoft has had a well-established schedule for major updates of Windows 10. The first is carried out in March and the second in September. We are approaching the end of March, so it is likely that the final version of the next update will be closer than ever. So it's time to look at all the test versions we've seen and take stock of what's coming up in the April 2019 Update of Windows 10. There has been the arrival of dark modes and now Microsoft is offering us a bright mode for its operating system. Very bright, the Redmond firm has reviewed some icons to adapt them to this environment. It will even be possible to customize the interface by choosing elements from dark and light mode. Microsoft will continue to improve the start menu with some welcome changes. First of all, the different elements (tiles, texts) will take up less space and, logically, the start menu will seem more compact. Under the hood, the start menu will have its own process, which will make it easier to solve problems in the event of a malfunction. To the delight of some Windows 10 users, Cortana and the search bar will be kept separate in the next update. Users who only want to search for a file on their computer will no longer see Cortana's interventions. The settings for the virtual assistant and the search bar will also be separated. Windows 10 drove more than one user crazy with its unannounced updates that were impossible to pause. The next update should finally solve this problem since it will stop the download of an update. It will be possible, for example, to postpone it for a few days and to choose precisely one installation time. In professional versions of Windows 10, users will be able to use a sandbox, a secure environment separate from the operating system to run potentially malicious files. Microsoft seems to be aware that Windows 10 error messages are not easily decipherable. 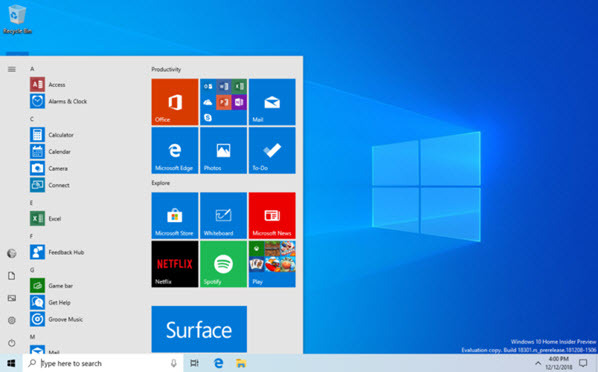 With Windows 10 April 2019 Update, the Redmond firm wants to improve this aspect of the system: in addition to error codes, the user will have advice on how to solve problems. Maybe this will make the Blue Screen of Death in Windows 10 a little less unpleasant. 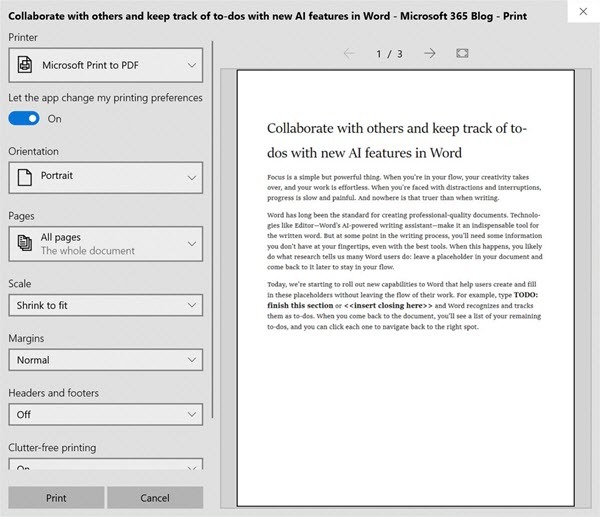 Windows 10 April 2019 Update will make a lot of changes in the print window. The latter has been stylized, the elements have moved slightly and new icons have been added to allow users to better understand what the different options are for. This is certainly the least appreciated new feature of the future update: after the next update, Windows 10 will use 7 GB of your hard disk or SSD to store temporary files and to make it easier to download subsequent updates. A choice that may well annoy users whose machines house a small amount of storage. 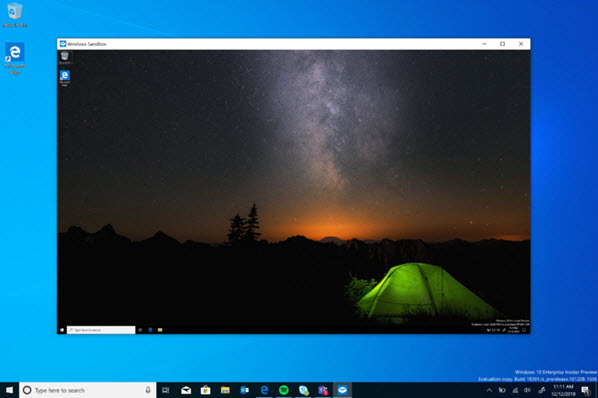 This list is not exhaustive, Windows 10 April 2019 Update will also bring its share of minor changes as well as many patches to make the system even more reliable and efficient.